If your pages cause your ideal customers to feel inspired and connected, they'll be far more likely to keep clicking around, and share your content with like-minded peers. This kind of content inspires them to form a relationship of trust with you, join your brand community and loyally purchase your products and services for years to come. Your best content will be the pieces that stir this kind of emotion in your audience. It all starts with an attention-grabbing one-liner. That evocative blog title, email subject, call-to-action or social post teaser text. We're bombarded with so much content and so many marketing messages we've learned to tune it out. Savvier inbound marketing writers know how to use language to stand out from the noise, rile people up, and get them to pay attention. They do it with words that resonate more than others. Words carry so much emotional baggage we can't help but perk up and click through when someone uses words that trigger that emotion in us. Examples of words proven to trigger reactions more strongly than others include free, you, easy, because, limited, win, and discover. Ironically, many marketers operating in digital realms spend their time churning out content hoping programmed robots will take note. They think if Google's content crawler "bots" notice a rapid flow of new pages going up with the right volume of the right keywords, their website will rank higher. When prospects search for these keywords, the likelihood that people will see these pages and become customers increases. Robots, however, won't be buying anything from you any time soon. Also, Google is getting better and better at identifying content worthy of ranking highly based on how helpful it really is to humans. We recommend writing with human audiences in mind rather than chasing the fairy tales of riches at the end of an SEO rainbow. Humans make decisions in complex ways which are hard to pin down. Science says we make decisions using the more primitive, less rational part of our brains; the emotional core that neuromarketers call "the old brain." Tapping into emotions is the best way to trigger a reaction. Success hinges on your effective use of persuasive words that influence decision-making. When you understand why certain words are persuasive, and figure out how to use them in a context that works for your specific audience, your business will benefit. When choosing the words to write, think about the emotions they evoke. For example, using positive words of hope, health, and success inspire readers. This emotion is extremely effective, helping to create a sense of connection. On the other hand, using negative words of anger, alarm, frustration, or betrayal, help customers feel that you understand their problems and share their incensed feelings. Trigger keywords should be used in all types of content, from social media to email subject lines and from blog posts to landing pages. Studies show there are some universal trigger words that will work in most situations, and there are some supremely helpful resources out there with mega lists of trigger words meant to be effective with all audiences. The best inbound marketing is focused on a highly targeted niche with content conceived to resonate with people from very specific walks of life and interests. 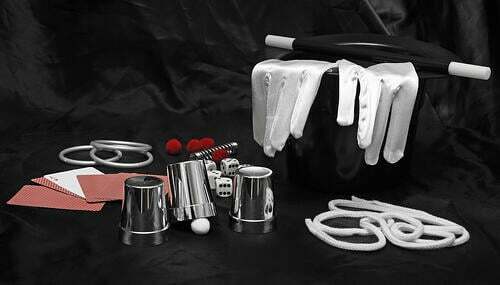 Different crowds and topics have different hot button issues and corresponding lingos. Spend some time researching the emotional triggers of your ideal customers and craft your messages accordingly. You can discover what your audience is interestedin by listening to your fans on social media. Use the Facebook Open Graph Search to find out what other pages your fans like, or what people in a certain profession tend to like. You can use Facebook Insights to get information on the interests of people by demographics such as age, location, and gender. The Pages to Watch module in Insights will even provide this information on your competition's followers. Twitter Analytics, while primarily aimed at promoting tweets, can also provide valuable insight into the interests of your target audience. 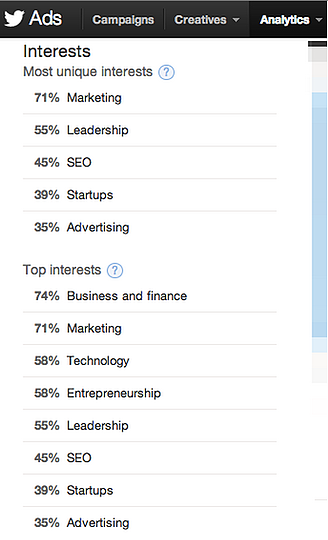 Here you can see the interests that are most unique to your followers, as well as their most common overall interests. You can choose words that resonate with the people who already follow what you are sharing. Another awesome tool to consider is BuzzSumo. It's a search engine that shows which items of content and are being shared the most for any given keywords. You can refine results according to time period, content type, or social channel. The trigger word identification process is only the beginning. As with all marketing, once you complete your initial research, it’s imperative to diversify. Measure and refine your trigger keywords so they're always up to date with the latest trends that are performing well. Use social media analytics tools to track which content is being shared and your onsite analytics to see what pages are being read the most for the longest period of time. Match those results against the trigger words you are using to easily measure the success of your trigger word use. Evoking emotion in your target audience with trigger words is tricky business. If you use them well and rile up the right people in the right way, over time you'll build an audience that drools over every word.